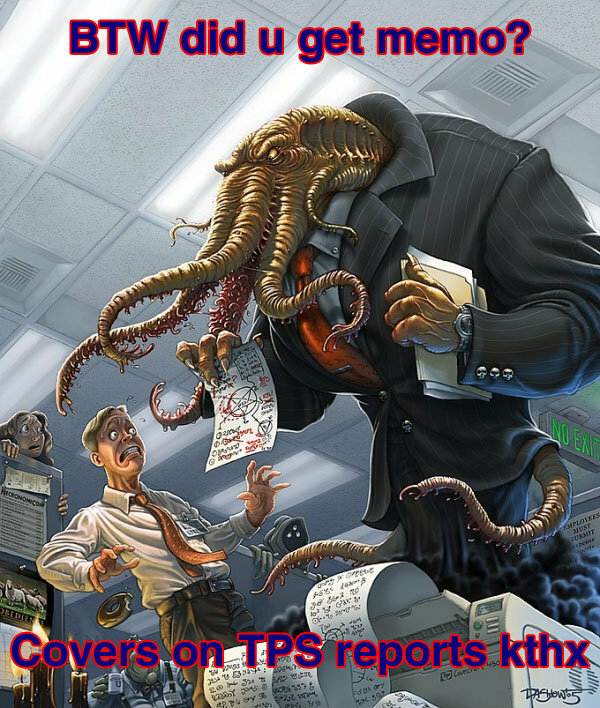 LOLTHULHU MISCELLANY » BTW DID U GET MEMO? BTW DID U GET MEMO? One Response to BTW DID U GET MEMO? The drawing-ness of this one meant that it was due for this site rather than the main page, in addition to the Office Space crossover. Made me giggle, though.